You have chosen the right therapist, you have gotten some help for the initial issues you needed help with, and now, you are in love with your therapist. If you feel like you have fallen in love with your therapist, you are not alone. Therapy is an intimate process, and it is actually more common than you may realize to develop romantic feelings for your therapist. A good therapist will offer a safe haven to divulge your deepest secrets and will accept you no matter what. They will offer you 3 key qualities in any healthy relationship that humans need in general. It makes sense why that safety and acceptance can be attractive, especially if you are not getting that from other people in your life. First, recognize that you are not a crazy or shameful person for having these feelings. There is actually a term in psychoanalytic literature that refers to a patient's feelings about his or her therapist known as transference, which is when feelings for a former authority figure are "transferred" onto a therapist. Falling in love with your therapist may be more common than you realize. After you realize that you are not the first person to fall in love with your therapist and that you are not a bad person because of it, talk about it. 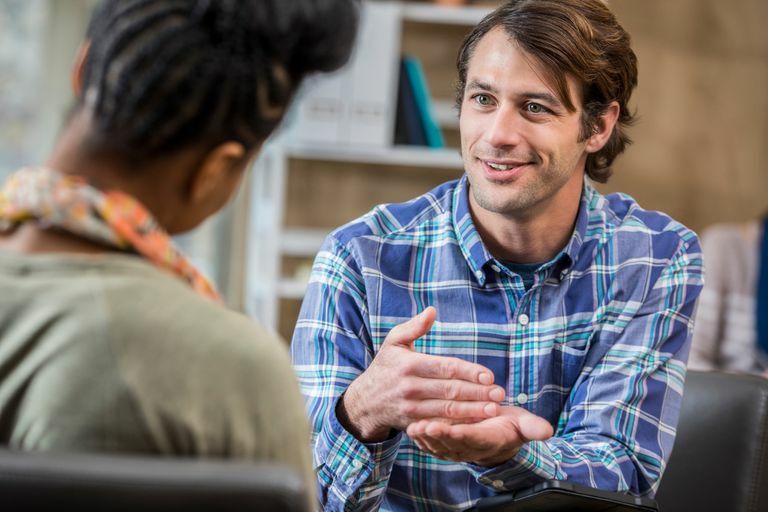 Professing your love to your therapist may be easier said than done, but to really get the most out of therapy, it is important to discuss. Your therapist should be able to help you explore these feelings and you will likely grow through this process and learn from it. Your therapist may even already know that you have feelings for them. The answer to this question, of course, depends on you, but the process of therapy will help you explore what it means that you have fallen for your therapist and what to do about it. Perhaps a pattern in your life, in general, is that you always fall in love with people who are unavailable, and your therapist is just another example of one of these people. Or, perhaps you have never had that warmth and acceptance from someone, and the taste of it is intoxicating to you. That would make sense since as humans we all need someone to care about and accept us. Your therapist should help you understand these feelings, and once you get more of a handle on what is going on, you will likely experience personal growth as a result. How Will Your Therapist Handle It? An ethical and well-trained therapist will be open and welcoming to a discussion about your feelings toward them. Therapy is a safe place to discuss interpersonal processes and a lot of personal growth can occur from doing so. Your therapist should handle this news gracefully and explore it with you. It is crucial to know that romantic relationships are inappropriate between therapist and client, and it is up to your therapist to uphold this boundary. Therapy is largely one-sided, unlike most other relationships in life. By sharing your emotional experiences and sometimes secrets with your therapist, you are opening yourself up and being vulnerable, which is often important to get the most out of the process. If, however, your therapist takes advantage of this vulnerability and reciprocates such feelings in any way, this is a very clear ethical violation. If this happens in therapy, you should end the process of therapy and consider reporting the therapist to their state board if you feel comfortable doing so. Do You Know the Best Way to Work With Your Therapist? How Can You Cope at Work When You're Grieving After a Death? Can You Measure Love With Rubin's Scales? Can Color Affect Your Mood and Behavior?